We’ve all been there. Every actuary has experienced it: seeing a character in a movie, or a television show, or maybe even a play, who is ostensibly an actuary. Likely they have one or two personality attributes that while perhaps rooted in reality, are emphasized way out of proportion. Uh oh – I’m having a flashback… It’s 1987. I’m watching the sitcom Night Court, part of NBC’s famous Thursday night lineup, season 4, episode 14. Christine, the charismatic public defender, is engaged to an appallingly dull fellow, who has “all the charisma of a three-bean salad.” Turns out he’s an actuary, who, among his other charms, “discovered the statistical link between a sedentary lifestyle and colon polyps.” At the wedding ceremony, Christine, overcome by the fact that she’s about to marry this dud, is unable to say “I do,” and instead gets sick in a colleague’s briefcase. Hilarity ensues. Along with the three basic actuarial jokes – the quarks of actuarial physics, which in various combinations constitute the basic elements of all actuarial jokes in the known universe[i] – these kinds of pop culture portrayals potentially represent the extent of a layperson’s exposure to actuaries and actuarial science. So, how do you react to such portrayals? Leaving the room in a fit of pique? A combination of one or more of the above? In any case as they say, that’s entertainment! While thirty years ago this single episode of Night Court may have been one of the few references to actuaries in the cultural lexicon, today we actuaries seem to pop up with a bit more frequency (if not severity!). The CAS has compiled an incomplete list from various media (mostly film) of some noteworthy pop culture references to actuaries for our first-ever Actuaries in Pop Culture Week. Admittedly, we’ve used a somewhat broad and flexible definition of “actuary,” including in this list a few characters involved in assessing risk, even if not technically called out as actuaries. To see all the references the CAS has assembled, head to the CAS Twitter or Facebook platforms and check out the hashtag #ActuariesinPOP. Here are two of the better-known examples from our list. In terms of background and context provided, the movie About Schmidt (2002) is pretty accurate. 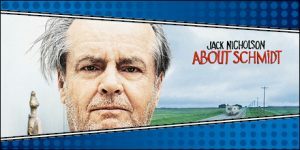 Although Jack Nicholson plays a retired actuary, the movie and his retirement antics aren’t wholly predicated on that fact. They did at least try to get the setting and surrounding ambience right. For example, the movie refers to specific types of statistical models Schmidt works on. They also dressed the set with actual issues of the North American Actuarial Journal on his desk at home. On the other end of the spectrum, Zootopia includes a jaguar who wants to grow up to be an actuary, who he says is someone that hunts for tax exemptions. Of course, that’s total nonsense…we all know adolescent jaguars can’t talk. What do these various portrayals say (if anything), about us and our profession? What is the impression of us that society is getting from these pop culture references? Enjoy this week’s celebration of pop culture references to actuaries! And please feel free to share others you’re aware of. [i] I contend that all actuarial jokes emerge from one or more of three basic types: the on-average joke, the staring-at-shoes joke, and the rear-view-mirror joke. Rick Gorvett, FCAS, ASA, MAAA, CERA, ARM, FRM, Ph.D., recently completed a term on the CAS Board of Directors and chairs the Academic Working Group of the University Engagement Committee. He is the staff actuary at the CAS. 1 Response to How Well Does Hollywood Know Actuaries? Hi. The largest collection of actuarial jokes I know is at a website that I managed for many years (I won’t name it because I believe this blog considered it a reason for calling my reply spam), and I think that site contains many jokes that don’t fit into Rick’s three categories.